Little fingers tapped away on computer keys after school at Hamilton Central Elementary on a recent sunny afternoon, but instead of manipulating blocks in Minecraft or posting to Facebook, they were busy writing computer code. The coding class, for students in grades three through five, is the creation of Colgate’s Women in Computer Science club, whose members decided to share the skills they learned in their classrooms with the eager elementary school students. 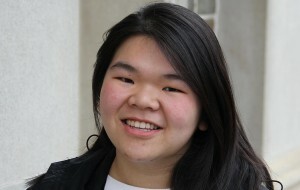 Samantha Braver ’18, a computer science and art and art history major from Gladwyne, Pa., looked over the shoulder of one student who had a furrowed brow. The student was trying to fix a string of code to finish a puzzle that, once solved, would form a picture of a house. 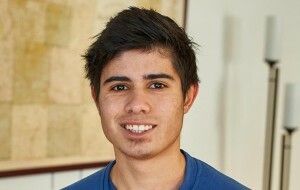 Braver gently suggested the student consider moving one part of the code as an experiment to see how it would respond. “See, now that went too far,” Braver said of the line that stretched past the foundation of the cartoon house. The student smiled after making another minor adjustment herself, completing the puzzle. While the idea is local, the long-term implications are large as technology companies nationwide search for more women with computer science backgrounds to balance a workforce that is still predominantly male. Hamilton Central School (HCS) Elementary Principal Kevin Ellis said the new coding club is another example of the positive impact that the university has had on students in his school. 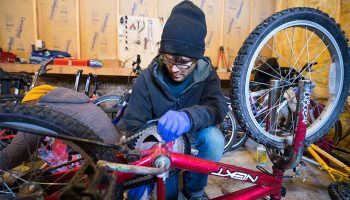 Colgate students currently volunteer their time and expertise with six active after-school groups. “HCS is making plans to offer our middle- and high-school students computer science and coding classes in the near future. It is our hope that this coding club will be an impetus for elementary students to gain interest in this area,” said Ellis. Ilyasah Al Shabazz, daughter of civil rights leader Malcolm X, spoke to a packed Love Auditorium crowd at the end of January, wrapping up this year’s Martin Luther King Jr. Week celebration. Shabazz is a community organizer, educator, social activist, motivational speaker, and author. Her most well-known book, Growing Up X, is both a memoir and a tribute to her parents. The subsequent question-and-answer period included discussion of the 2016 U.S. presidential candidates, personal identity, and structural violence. 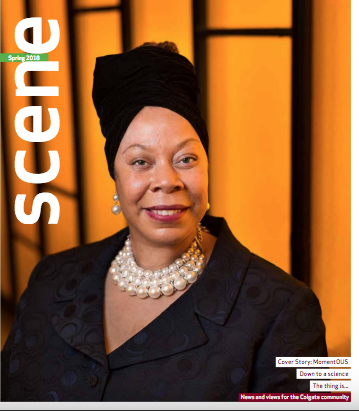 Other events that took place during the celebratory week included an afternoon of community service, coordinated by the Max A. Shacknai Center for Outreach, Volunteerism, and Education; a keynote address by Alexandria Davis ’16; a screening of The New Black at the Hamilton Theater; and workshops designed to spark important conversations. 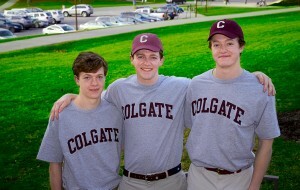 Fifteen years ago, the Quinan family was ascending the stairs next to Little Hall when then–Colgate photographer John Hubbard ’72 stopped them to take the boys’ picture. Michael was 4, Matthew was 6, Sam was 8. Now, at 19, 20, and 22, all three are students at Colgate — a decision that was strongly influenced by their father, Mike ’81. “Our dad’s obsessed with Colgate,” Sam ’16 said, half-jokingly. Sam has vague memories of this campus visit for Mike’s 20th Reunion: the colorful tents on Whitnall, playing baseball with his brothers on the football turf, and getting their picture taken in front of West Hall, where Mike had lived. 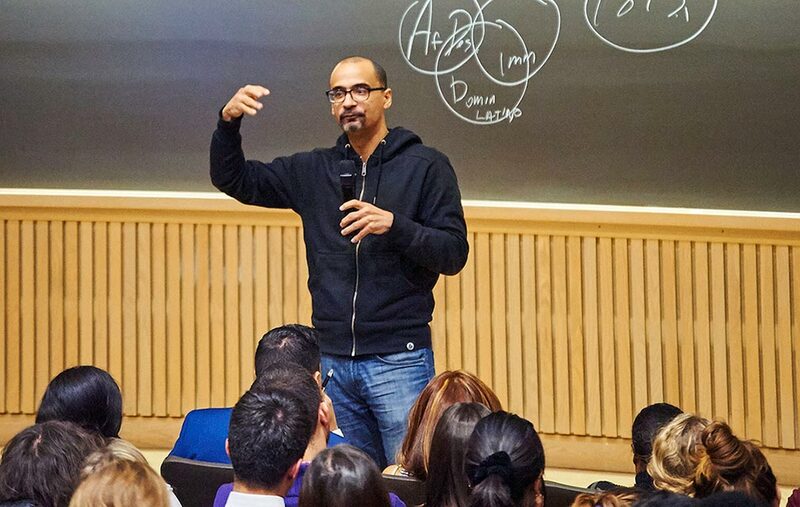 When Junot Diaz — the Pulitzer Prize–winning author and a creative writing professor at Massachusetts Institute of Technology — visited Colgate at the end of January, he created a classroom environment for the packed house in Love Auditorium. Rather than conducting a formalized lecture, Diaz facilitated open conversation with the audience. Speaking candidly about race and class issues, Diaz said: “It’s an important conversation for us to have in a public space, [because] there is power in coming together for these dialogues.” Diaz urged students to talk to each other about issues like systemic inequality, privilege, and identity politics. The author focused on his belief that we are all responsible for the oppression of others. Diaz noted that we should each have “possessive investments in each other’s liberations [from oppression]. “We all have narcissistic investments in our own identities,” Diaz said. He explained that we treat identities as stock rather than viewing them as the unique attributes that have the power to connect us to others. Our identities, Diaz noted, have become “forts with narrow drawbridges,” whereas the author sees the need for “open fields” of identity that allow for cohesion and cooperation. Our differences should be the bridges that connect us to others, not sources of victorious pride, he asserted. The famed author last visited campus when he participated in the 2009 Living Writers Series for his novel The Brief and Wondrous Life of Oscar Wao. This year’s event — hosted by the Latin American Student Organization — was coordinated by LASO president Manuel Medina ’17, who has been working since his first year to bring Diaz back to campus to speak about his commitment to social justice. “His lecture profoundly challenged and motivated the audience in many ways,” Medina said. Last summer, former trustee Robert A. Fox ’59 made a $10 million gift to Colgate, inspiring 26 partners to join him in supporting financial aid programs at the university. Together, they amassed a total of nearly $27 million in just 12 months and brought an inaugural crew of Fox Scholars to campus with the bicentennial Class of 2019. 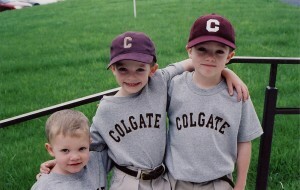 I chose Colgate partially because it reminded me of home. Colgate brought all the best things of my upbringing into a college atmosphere. The highlight of my first year on campus so far was performing in Cabaret. Financial aid was one of the most important factors in my choice of schools. I have five siblings, so it was really important for me to get good financial aid. The highlight of my first year has been having opportunities to meet new people, learn new things, and try new activities. I know that as a Colgate graduate, I will be endowed with not only knowledge and skills that will propel me to success in the real world, but also long-lasting relationships with friends and professors. The highlight of my first year would probably have to be track season. I’ve met a lot of cool people and traveled to a lot of places because of it. Being on the team has really influenced my experience at Colgate.Financial aid played a big part in choosing my school. My mom is a single parent, and she does not make nearly enough to get me through college and to take care of my sister, who is also about to go to college. I wanted to minimize the burden tuition payments would put on my mom. 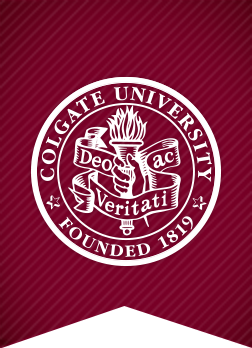 I love the fact that Colgate offers small class sizes and many travel-abroad options. 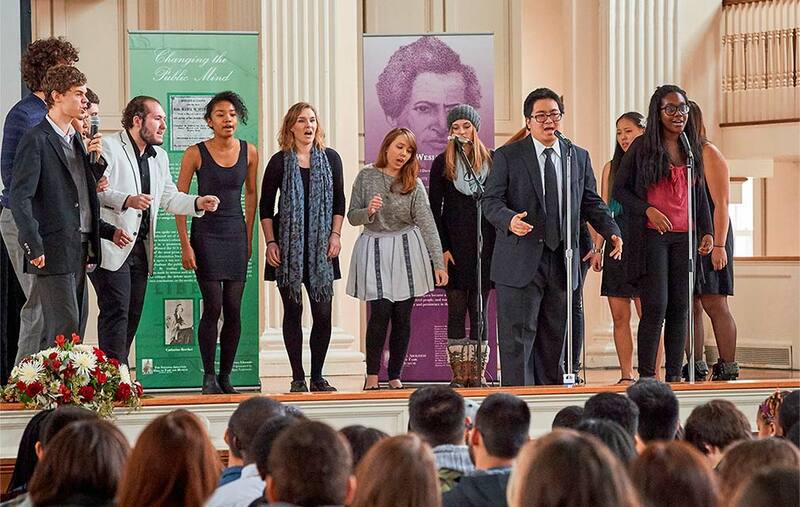 I love what the Colgate community has to offer — being part of the choir family, the OUS family — and I cannot say how much I appreciate my international friends here. CAMERA ALWAYS READY! Although I had driven the loop from the Broad Street traffic light toward Case Library on my way to Olin Hall thousands of times in my Colgate career, April 4, 2015, turned out to be the best drive ever. 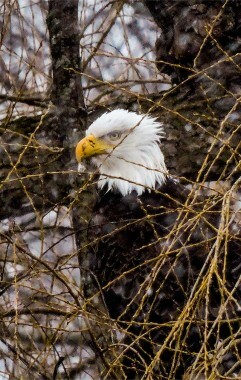 It was a windy, snowy, early morning, and I observed a bald eagle perching in a willow tree on the edge of Taylor Lake. Stopping at the library, I slowly walked down the Willow Path, stalking the bird in the distance. I braced my camera against a tree near the “Kissing Bridge” and photographed a series of images, from which this photo was selected. Janes is the president of the American Institute for Contemporary German Studies at Johns Hopkins University as well as a member of the Council on Foreign Relations, the International Institute for Strategic Studies, and the Atlantic Council of the United States. He often provides commentary for domestic and foreign media outlets, including CBS, CNN, C-SPAN, PBS, CBC, and other networks. His lecture focused on the shifting dynamics in a post–Cold War world. On both sides of the Atlantic, governments are grappling with globalization and increased interdependence in the wake of world issues such as climate change, nuclear weapons crises, and terrorism. In the European Union specifically, Germany is trying to show robust leadership in a time when the Euro is struggling to remain strong, and countries are coping with Russian aggression, crisis in Ukraine, and massive migration from the Middle East and North Africa. He left the audience with a question: “How do we need each other in 2016?” In a U.S. presidential election year, with shifting global powers, there are certainly going to be changes to world dynamics, he said. In the beautifully decorated Hall of Presidents, students, faculty, and staff joined together for a gala on Dec. 3, 2015. 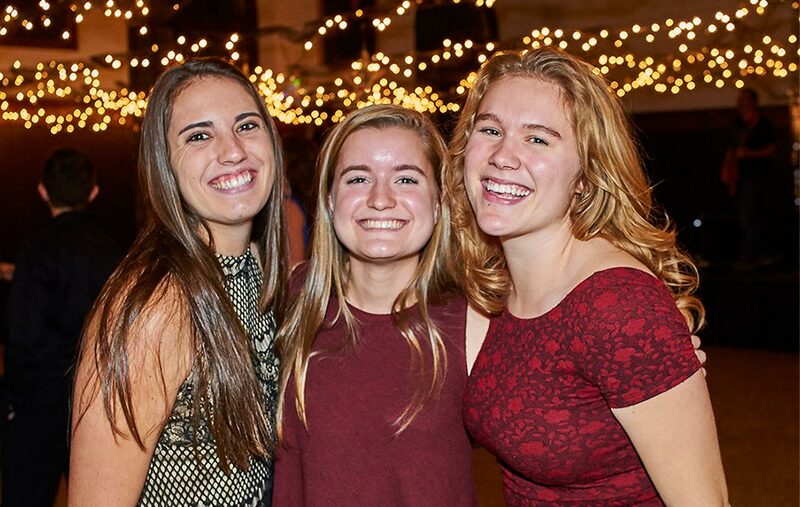 The semiformal night of dancing, mingling, and fellowship honored a student recently diagnosed with lymphoma. All proceeds went to the Leukemia and Lymphoma Society. 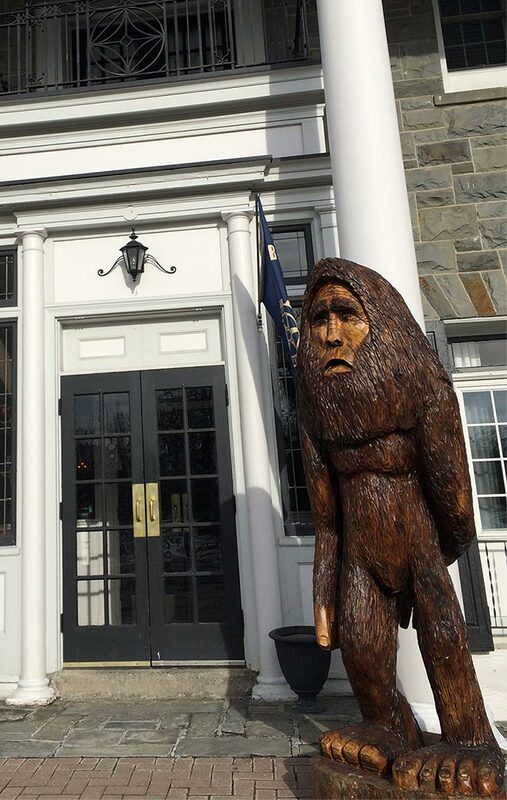 With dingy sheets draping the façade and boarded-up windows, the Colgate Inn looked like the set of a monster movie in January — which it was. 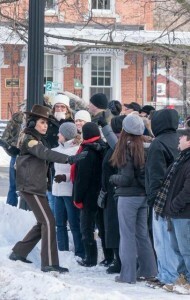 Actor and director Ron Perlman chose Hamilton as the location for Pottersville, his new quirky comedy starring Michael Shannon, Judy Greer, and Christina Hendricks (to cite a few of the big names). Colgate people also had roles in the production: actor Michael Torpey ’02 was a cast member, six students served as interns, and Reyna Stagnaro (greenhouse superintendent) was an extra. 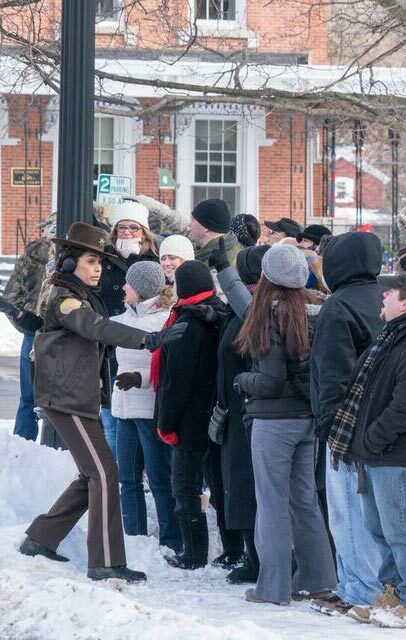 The Pottersville plotline follows a destitute town that becomes a media spectacle after a Sasquatch sighting. In reality, the believed-to-be Bigfoot is actually a local general store owner named Maynard who was drunkenly rambling around town in a gorilla costume, but he’s afraid to fess up. Meanwhile, reality TV “monster hunter” Brock Masterson arrives to track down the beast. 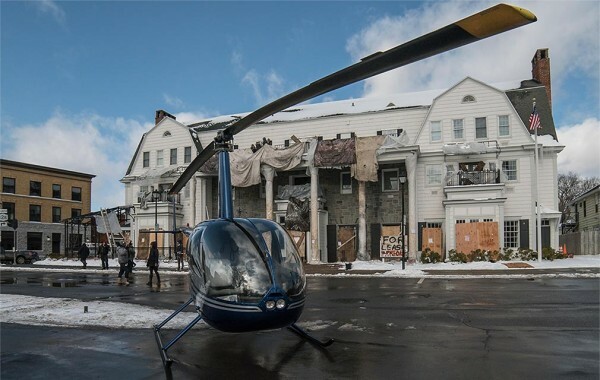 Nearby towns Cazenovia and Skaneateles were also under consideration for location filming, but Hamilton was selected because of “the quality of some of the exterior places that fit their script,” Mayor and Colgate Professor Bob McVaugh told Syracuse.com. Swank boutique was the setting for Maynard’s shop, and the film crew spent countless hours on the village green shooting that corner of downtown. “For sale” and “No trespassing” signs hung in the windows of several stores as part of the setting. One afternoon, a helicopter landed in front of the inn for a particular scene. And in the off hours, Hamilton residents buzzed with celebrity spottings. Torpey, who lives in New York City, had no idea when he auditioned that he would be returning to his old college community. In early December, his agent arranged for him to read for a part, and he was hired shortly after. Then during a wardrobe fitting, he heard a rumor that the movie was being filmed in Hamilton. “I was floored,” Torpey recalled. He was still uncertain about the location until he was informed that he would be flying into Syracuse and staying at the Colgate Inn. The actor — who’s recently been on Inside Amy Schumer and Veep — played “Norm” in Pottersville. Norm and his partner, Tony, moved there on a whim, wanting to leave the city in search of “the country life that they [envision] based on the J. Crew catalogue,” Torpey explained. Hoping to capitalize on the Sasquatch phenomenon, they sell merchandise out of Maynard’s shop. 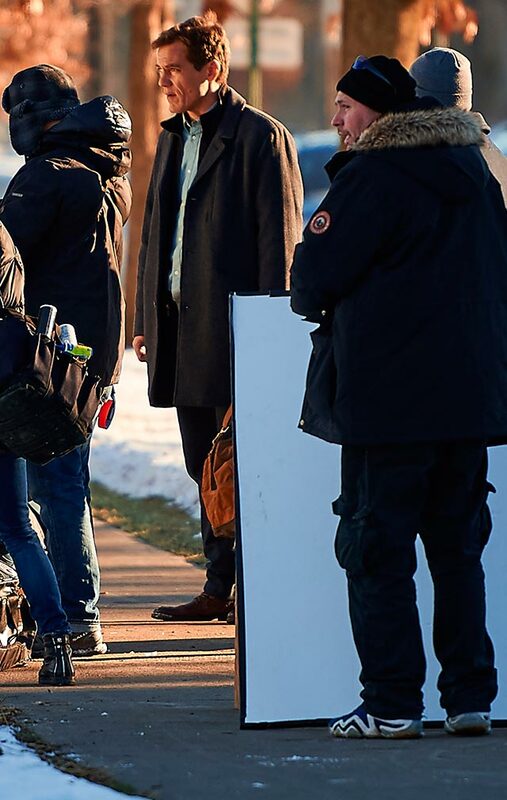 Sasquatch on set. Photo by: Karen Lucian. He emphasized that movie making isn’t all about hobnobbing and glamour, though — especially when shooting in central New York in the dead of winter. “There were long, hard nights outdoors when you couldn’t feel your feet. It’s a lot of waiting — for the camera, for lighting to be ready,” he said. Seeing the practical side of a production was valuable for the student interns, who were involved in everything from managing extras to wardrobe to set design. 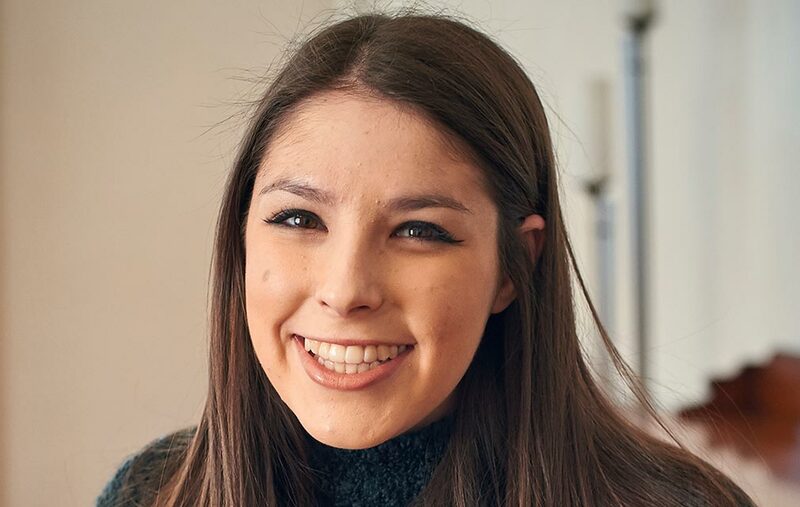 “It was unpredictable,” Erin Moroney ’18, a molecular biology major from Gaithersburg, Md., said of performing various tasks. The interns sewed patches, ironed costumes, hauled props, wrapped cables, and ran errands. 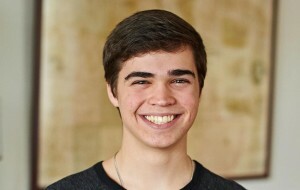 One of the less-desirable duties was “lockups — basically standing outside telling people to be quiet,” said Sam Whalen ’16, a computer science major from Quincy, Mass.